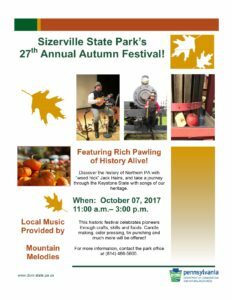 historyalive – Rich Pawling's History Alive! 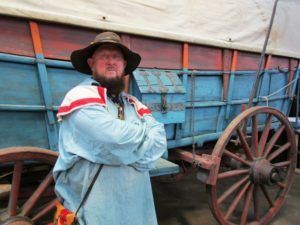 Meet “Muley” Tubbs, Supply Wagon Boss for the Union Troops, in the Carriage House of the Star Barn Complex throughout the day where he will be interpreting an exhibit that focuses on the importance of horses and mules in the Civil War. This topic has a direct connection to the builder/owner of Star Barn, John Motter who supplied horses to the Union Cavalry during the war. 3:05 – 3:40pm Special First-Person Presentation (also in the Carriage House). 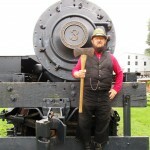 Join the spirit of 19th century “Wood Hick” Jack Hains as he tells of the pioneer, water transportation and logging railroad eras of the lumber industry. Learn about log slides, splash dams, Barnharts, Shays, “cookees”, knot bumpers, peaveys, cant hooks and the “natural law of succession” of the forest. Took time off for knee replacement surgery in late January (something that, per the surgeon, should have been done 10 years ago!). Recovery is going well after six weeks. Plan to be “back in action” and better than ever by May. Join Rich in this lively presentation of the stories and music of the wagoners, canal-men, railroaders, and seafarers of the past! Holiday Trains running too – enjoy the sounds, lights and action of many model trains stationed around the Museum’s Galleries! Fun for Children and adults of all ages! See http://americaonwheels.org/ for museum location and ticket info. This special free interpretive presentation examines the symbiotic relationship between logging and agricultural production during the lumber boom days in Pennsylvania (1880-1910). 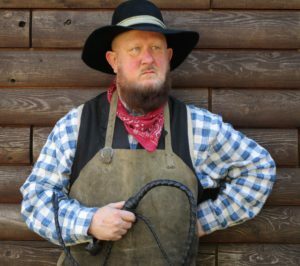 Rich will dress the part of a wood hick from that time period and will use old photographs to visually guide us through the past into the present. The Troy Sale Barn will be an example of how historic preservation is a form of life eternal for the value of the community and its citizens. The memories of those who gathered at the Troy Sale Barn throughout the years are part of the legacy of our local community and the citizens it represents. 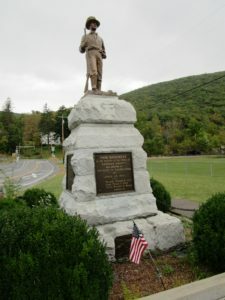 Ric h will join members of the Pennsylvania Bucktails Regiment reenactment unit at this special weekend event celebrating the 110th Anniversary of the Dedication of the Bucktail Monument in Driftwood’s Bucktail Park. This was the location where on April 26, 1861 more than 300 men (many of them”wood hicks” from the local lumber camps) constructed and boarded three large rafts for the voyage downriver on the Sinnamahoning River to the West Branch of the Susquehanna and from there to Harrisburg, where they joined the troops assembling to defend the Union. 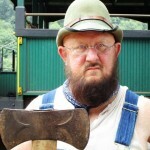 Rich will focus his presentations on what it meant to be a “Wood Hick” in the 1860s – complete with stories and songs of life in a lumber camp as well as examples of the tools that they used. Other presentations include: John Stengel speaking on the Origins of the Bucktails and live music by the 6th New Hampshire Contra Band. There will also be a Church Service Sunday. Admission is Free. Refreshments available for purchase. See the Annual Bucktails Reunion Facebook page for additional information. 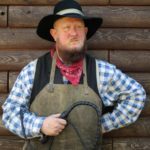 Joining the 2nd Rhode Island, Co. B encampment for the weekend, Supply Wagon Train Boss, “Muley” Tubbs will expound on the importance of logistics, supply trains and horses and mules in the Civil War. 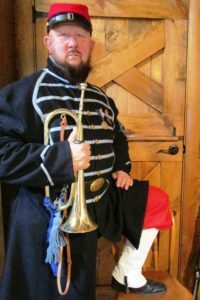 He may even play a tune or two from his time during the day and talk about the role of buglers too! For additional information on this event, click on the following National Civil War Museum Event Page. There’s a new location and more program times for History Alive! at this year’s Barkpeeler’s Festival at the Pennsylvania Lumber Museum in northcentral PA. Don’t miss this great family event! Yes, Rich will still be emceeing the Frog Jumping Contest as in previous years as well. 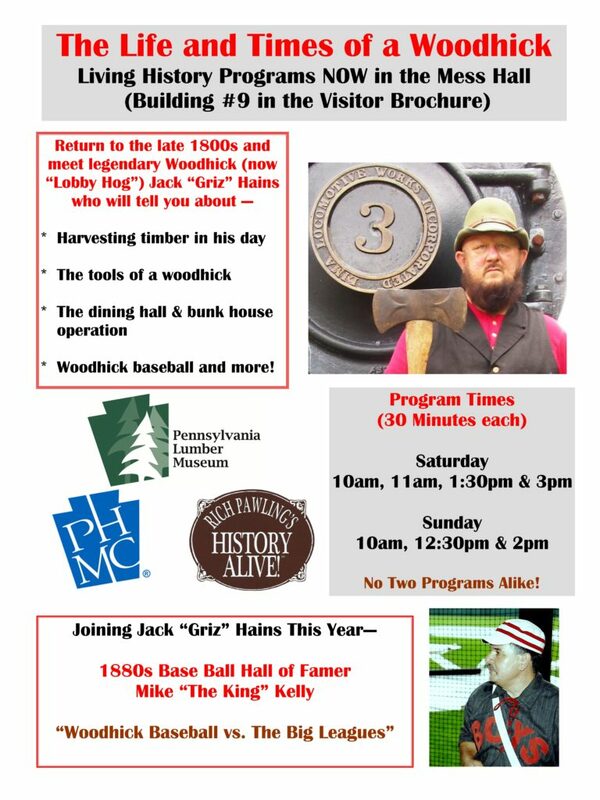 For the complete schedule (in addition to the Jack “Griz” Hains program times below), see http://lumbermuseum.org/ – enjoy the fun! (Bensalem, PA) –This event was cancelled for security issues. Conrad Weiser will be returning to this amazing event – with a special program in the Sawmill Theater on Saturday from 1-2pm as well as a Saturday evening 7-8pm program in the Log Cabin Inn Environmental Learning Classroom. 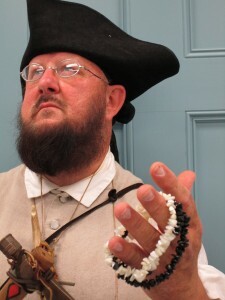 At the 1pm presentation, In the Steps of a Peacekeeper – learn about the life of this unsung Pennsylvania hero who epitomizes life on the American frontier from 1710 until his death in 1760. During that time – he was a statesman, diplomat, traveler, judge, linquist, Lieutenant Colonel, farmer and official Pennsylvania peacekeeper. 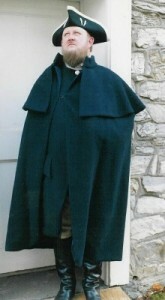 For the 7pm program, Conrad will be joined by his compatriot, Stoeffel Stump (portrayed by retired history teacher Bob Fleck) as they reminisce about their 1737 winter “walk” from Heidelberg (present day Womelsdorf west of Reading, PA) to Onondaga (near present day Syracuse, NY) to preserve the peace between the Iroquois and Catawba nations. You can also meet the “characters within these two characters” both days near the entrance of the Sawmill Theater. See the post to the left for information about this great event! 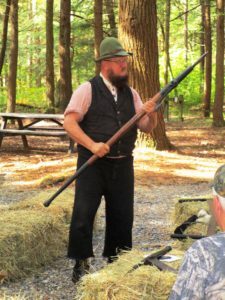 Join the spirit of 19th century “wood hick” Jack Hains as he tells of the value of trees/wood during the 1800s in Northern PA – from the early days of pit sawing, to water-powered circular saws to band saws. Learn about log slides, tanneries, splash dams, knot bumpers, peaveys, cant hooks as well as Barnharts, Shays, Climaxes, Heislers and more! Through music and song, Rich will take you on a musical heritage journey through the great Keystone State of Pennsylvania. 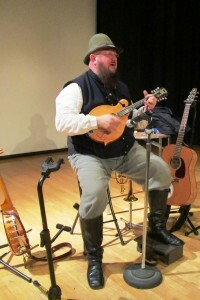 At each stop in the musical journey, the history of PA and its role as the “keystone” to America will come alive in this inspiring program that combines vocals with the mandolin, guitar, banjo, harmonica and cornet in a style reminiscent of our Pennsylvania forefathers. 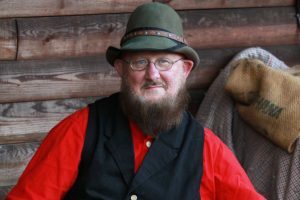 Rich will present period music from the 1840s-1920s including favorites of the lumber industry such as “The Frozen Logger” and “The Wild Woodhick.” Instruments accompanying the vocals include mandolin, guitar, banjo, harmonica and the readily-available washboard! This year’s corn maze theme (originated after Rich met the Duncans at an event and discussed the history of their area) is a peace tomahawk – representative of the life of Conrad Weiser. Born in Astat, Wurttemberg (Germany), November 2, 1696, this unsung Pennsylvania hero epitomizes life on the American frontier from 1710 until his death in 1760. During that time – he was a statesman, diplomat, judge, farmer, lieutenant colonel and official Pennsylvania peacekeeper. Involved in filming for a trailer for a future lumber industry-related film. Also a Civil War reenactment episode for a popular television series. Private event booking in August. Contact us for information on our heritage music programs.